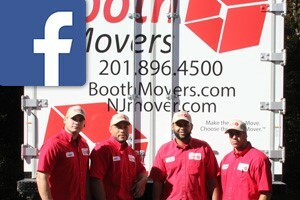 Since the 1940s, Booth Movers has been offering the highest quality commercial storage options in Bergen County and beyond. Our BBB-accredited New Jersey commercial storage company is proud to offer business storage solutions to suit the needs of our commercial customers. If you need to store office items during a relocation or are looking for a professional company to handle warehousing and distribution, there is no better choice than the experts at Booth Movers! Our 32,000-square-foot New Jersey commercial storage facility is conveniently located and fully-secured for your peace of mind. Our warehouse is climate controlled to protect your specialized equipment and items; it also features 24-hour video surveillance and a full-service alarm system to ensure security. Whether your company is looking for a short or long-term storage solution, our New Jersey commercial storage company will work with you to find the services that best suit your needs and budget. As the most trusted name among New Jersey commercial moving companies, Booth Movers offers comprehensive moving and storage solutions for businesses of all sizes. From small office moves to international corporate relocations, our experienced team can guide you through each stage of the moving and storage process. Business Relocation – To keep your business move on schedule and on budget, trust the experts at Booth Moving to handle all the details of your relocation! Office Moving – Our professional team will work with you and your staff to minimize downtime and get your office back up and running quickly. Employee Relocation – Our specialty moving services include professional employee relocation as a standalone service or combined with your commercial move. For a New Jersey commercial storage company that understands the needs of business clients, there is no better choice than Booth Movers! To learn more about the New Jersey commercial storage services we offer, give us a call today or fill out our simple online form!